Some 16,000 Austrian, Australian, British and Dutch prisoners of war perished during the construction of the infamous "Death Railway" that provided the Japanese with an overland supply route from Bangkok to Burma. 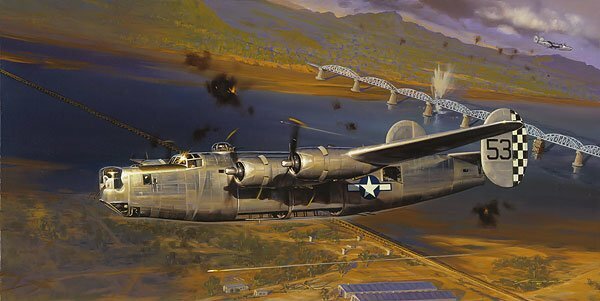 The bridges that conveyed the tracks to the River Kwai Noi were targets that had to be destroyed by the United States Army Air Forces. Again and again, aircrews flew low through the intense anti-aircraft fire while trying to hit a target which resembled the thin edge of a knife blade.